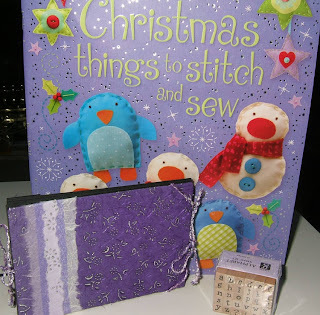 There's an Usborne book of 'Christmas things to stitch and sew', a set of mini alpha stamps, and a handmade mini album. If you'd like a chance to win this prize, just leave a comment - anything you like! - on this post. Anyone welcome to enter, I'm happy to post worldwide. As with my other giveaway, you can enter until midnight (GMT) on Saturday 31st October; I'll choose a winner at random and announce it on Sunday afternoon. And because I just can't keep things simple, if you're a follower then leave a separate comment telling me so and I'll give you an extra entry :-) Good luck! As well as talking too much I also do too much... Not content with signing up for Blogtoberfest, Blogging for Scrapbookers, Journal Your Christmas AND Worth a Thousand Words, I've also taken on a couple of free Shimelle classes: I Have To Confess and This Year. I'm also very interested in Scrap Your Day but I'm thinking that would be a good 2010 project. Write It Down also looks really cool. And I'm sure I'll work my way through every single one of Shimelle's classes eventually. Now I'm the one who needs the luck...! Oooh. Yesterday's blog post made me hungry (the salmon/spinach pasta especially) and today's makes me wish that I sewed. Also love your inchies. CONGRATULATIONS on your 100th post!! and only two months in!! makes me realize i'm not keeping track of my posts..i might be nearing that 100 mark myself!! Well done on the 100 posts and 50 followers in 3 months!! I love those Usbourne books and would love to try some of those crafts with my daughter. I'm also a follower and loving your stuff! Congratulations on both events and thanks for a fab giveaway! Oh and I have been a follower for a while now! Congrats on the 100th milestone! I've done a few of the classes you've signed up for and they have been some of my most thought provoking projects. Shimelle has a lovely way with words, it's the main reason I love her classes. Wow 100 posts and 50 followers, great work. Thanks for letting us celebrate with you by having another giveaway. Wow you're a busy girl!!! Congrats on your 50th follower.....like you I LOVE Shimelle's classes....even though I often don't actually get much on paper. 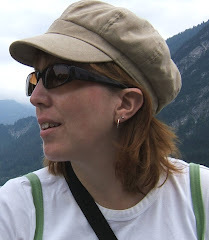 I am almost sure this giveaway is closed... (sighs) but for some reason I missed reading this post before... but since I´m on the other side of the planet maybe I still have time to enter, anyway I love usborne books and they are not published here, maybe some other time? Thanks anyway, and by the way, I don´t think you copied the recicled paper frame... it´s just an idea that many can have.